DEAD RUN is a black and white, self-published 'zine that was created to experiment with graphic design, photography and writing. DEAD RUN experiments with visual styles pioneered by early graphic designers, specifically Alexander Rodchenko and other Russian constructivists. 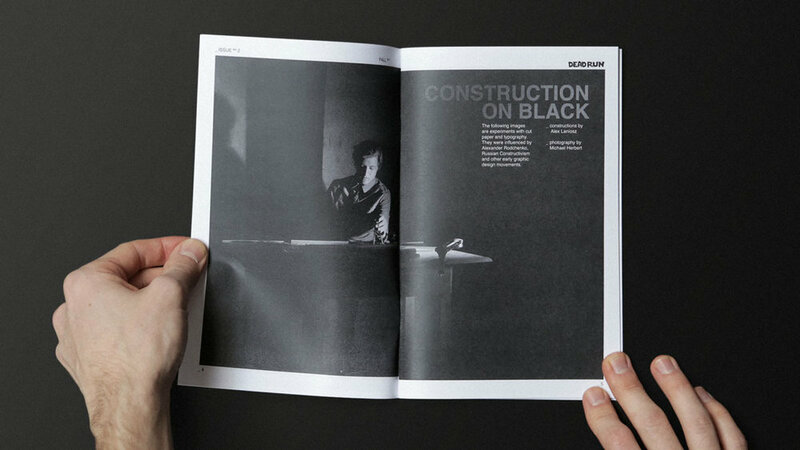 In addition to the graphics story, “Construction on Black,” this issue features a series of images documenting the beauty of Chicago’s winters. The 36 page 'zine is 5.5" x 8.5" and was published in 2011.